The abstract concept was on the ropes last week after Dave Trott's popular column, but BBH's digital publishing director Richard Cable has come out in content's corner. Starbucks has unveiled its Christmas campaign featuring a four-metre tall Red Cup installation that lights up when activated by tweets. The giant Red Cup installation smells like a gingerbread latte. It will be at Kings Cross station from Tuesday 3 November until Friday 6 November and will gradually light up as consumers tweet #RedCups. Tweets with the hashtag will feature across digital display boards throughout Kings Cross and Starbucks will also dish out gift cards. 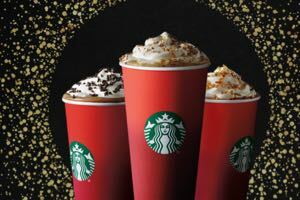 The campaign introduces its seasonal drinks range (which comes in red cups) including Gingerbread Latte, Toffee Nut Latte, Eggnog Latte and Honey and Almond Hot Chocolate. The brand, in partnership with Twitter, has also created a Red Cup hash-flag, which appears whenever #RedCups is tweeted (although perhaps not when it's embedded). Ho, ho, oh: A poorer, angrier Christmas? The Christmas ads are coming thick and fast, with Lloyds Bank, Burberry, Net-a-Porter and Mr Porter releasing their efforts (Campaign also has a stocking – er, article – stuffed with Christmas 2015's best adverts so far). But Jonathan Trimble, 18 Feet & Rising's chief executive, thinks change in the air. He said: "There’s only so much longer we can continue to play soft ballads to an increasingly disenfranchised audience." Consumer research is showing the evaporating sense of self and purpose enjoyed by the middle class for the past 20 years. There's a very surreal Ikea Christmas ad that ran in Spain last year. Mums and dads of nuclear families are reminded by the brand that the wish list from their children for more parental attention is far more important than any wish list from Santa. It's riddled with emerging post-consumer contradictions that epitomise the current confused middle class identity. Read on to find out the other reasons why Trimble thinks that "as we go into January we can expect a very different set of briefs on our desks." One of London's hottest independent, digital media-buying agencies, Essence Digital, is in advanced talks to sell to WPP, Campaign's Gideon Spanier reports. Essence is Google’s main global digital agency and other clients include Expedia and eBay. The group employs about 500 staff who manage over £400 million in annual billings and it has offices in New York, San Francisco, Seattle, Singapore and Tokyo. Its most recent accounts show it had annual turnover of £35 million and was growing at 50% a year. 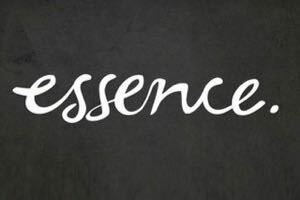 Essence is expected to become part of Group M, the media-buying arm of WPP, which operates in over 100 countries and will expand the company's global reach. None of the three founders had worked in advertising before they founded Essence in 2005, after spotting an opportunity to buy media more efficiently by using digital technology and automation. Last week, Dave Trott's column took the current obsession with content to task, arguing (and here comes what is probably a gross oversimplification) that the term has rendered an idea that solves a business problem unimportant. 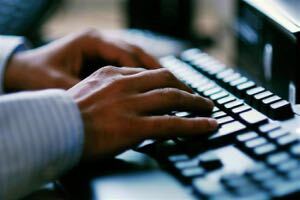 It struck a chord with many readers, but here's a defence of content by Richard Cable, Bartle Bogle Hegarty's digital publishing director, a man who is clearly willing to stick his neck out, as the gathering comments show. Cable then goes on to address Trott's assertions that content is all about delivery systems and that ideas don't matter anymore. For the latter point, Cable writes, "content without ideas simply isn’t content". Do you agree? Read Richard Cable's full piece on content and let us know in the comments. 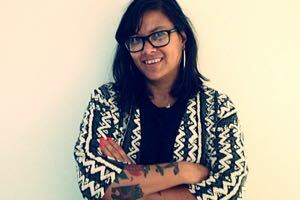 Marketing's Sara Spary reports drinks giant Diageo has appointed Leila Fataar to the newly created role of head of culture and entertainment at Diageo Europe as it looks to align its premium brands with music, film, fashion, food, drink, sport, art and design culture. Fataar has two decades of experience in creative comms and was most recently global PR and social director for adidas Originals, which she joined in 2012 and was responsible for earned media and owned social platforms. The company said the appointment was to ensure its brands remained culturally relevant.